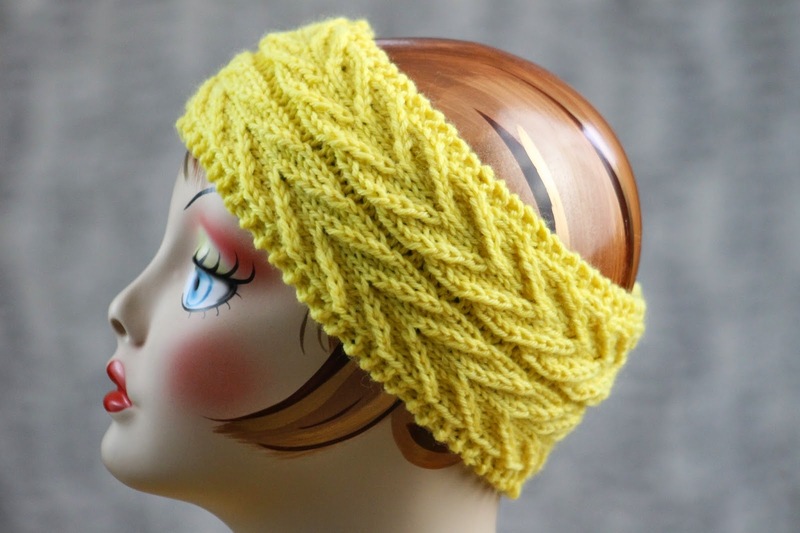 The story behind this piece is simple: recently, I saw one of the other moms at my kids' preschool in a knitted headband similar to this one and I thought, "hey, that's cool." And yes, the story is boring, but the finished product is still striking, with lots of graphic appeal. It's also very easy to size to various lengths, which I'll talk about more in a bit, and is a great stashbuster. Yay, busting stashes! Knit rows 1 - 4 until piece measures roughly 17.5" for a toddler or 18.5" for an older child and you've just finished Row 4 of the pattern. 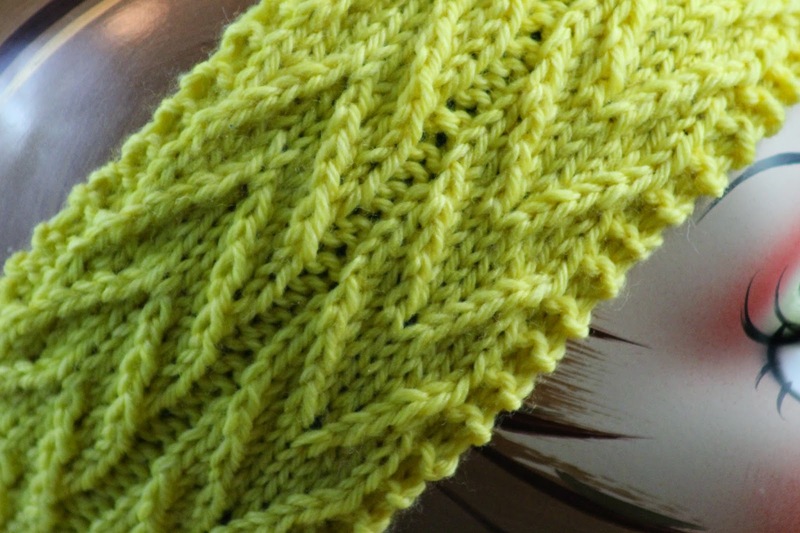 Bind off loosely in pattern, block, and seam. Tuck in ends. Knit rows 1 - 6 until piece measures roughly 20.5" and you've just finished Row 6 of the pattern. 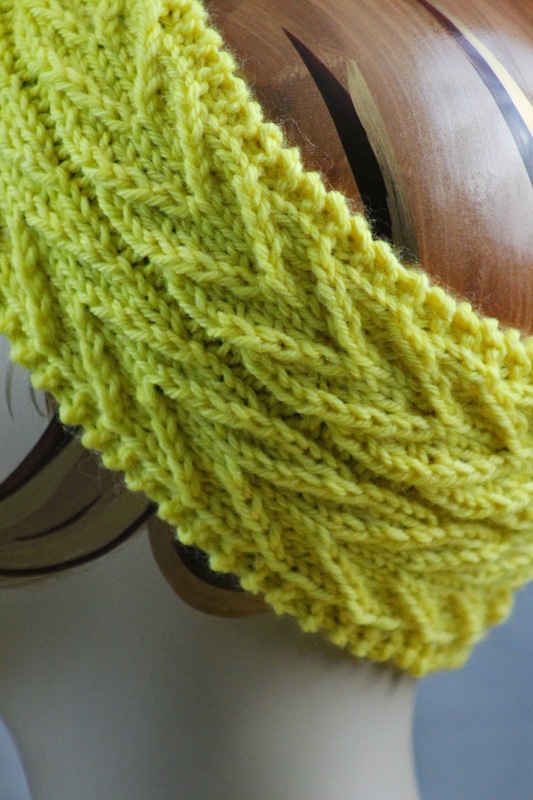 Bind off loosely in pattern, block, and seam. Tuck in ends. 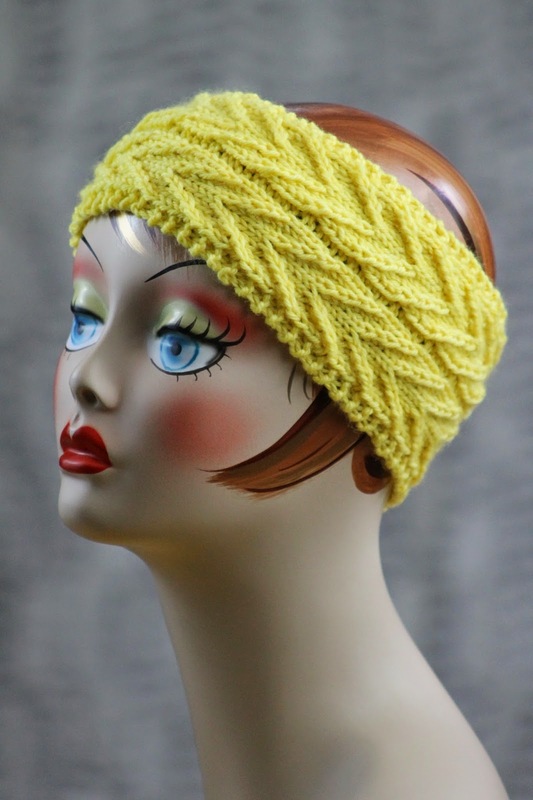 With the weather in the 20's today, I better start knitting. Thanks for the great pattern. Head bands are really cool, I love this one. Thanks for the pattern. Can't wait to try it. I'm happy you like it :) I keep seeing all of these cute headbands out and about and getting inspired!!! Love the pattern-----just to be sure,that is 2-needles???? Dang it, I'm still not sure I understand what you mean! :) It is sewn together at the end (or seamed), although you could also do a provisional cast on and then a three-needle bind off to finish it a little bit more elegantly. I think I'm still missing your question, though. I'm sorry! trying to make headband-----r0w 6 ---k2,rt,k4,lt,p2,k2,lt,rt,-------(K42????? 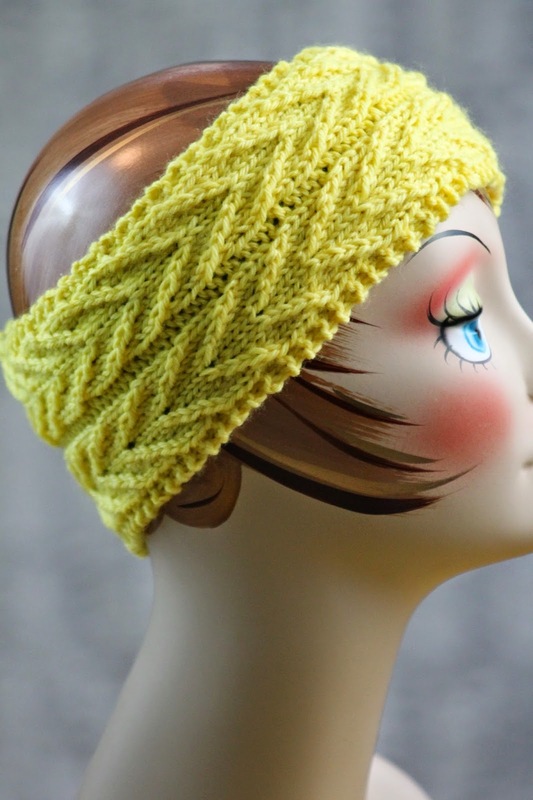 Love the pattern but, don't have the exact yarn. Can you please tell me the weight. Gretchen, BEAUTIFUL !! Thank you...just wondering the width measurement? and also could it be made with only one of the twists? We don't use the terminology worsted weight in the UK so assume that it means what we call double kntting wool/yarn. Thank you for the cute and SIMPLE pattern. When my boyfriend's daughter asked me to make a headband for preschool in the fall. I accepted the challenge. I was a little worried about the right/left twist-I am a visual learner. After reading your directions and little help from YouTube, I got it down pat. It is actually much easier than I thought. I can't wait to finish up her headband so I can make myself (or his girls) one of your other items (I'm thinking a crawl). 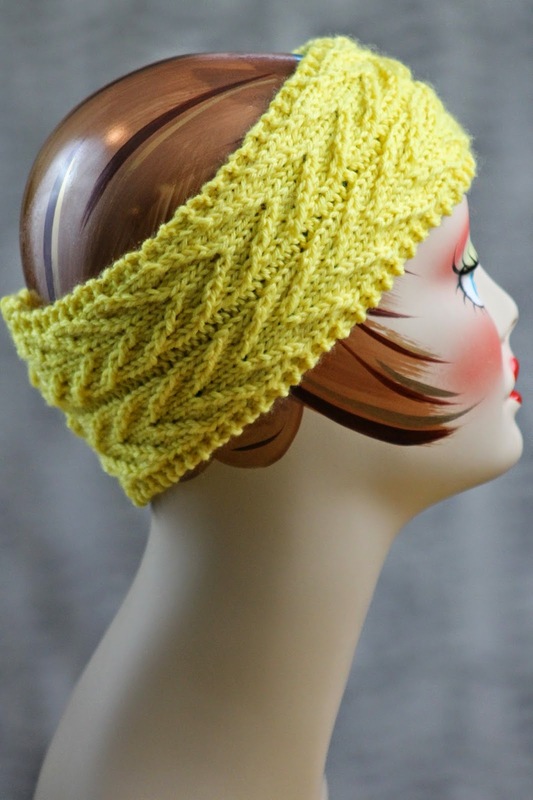 Question: Did your head band curl in-towards the wrong side? Thank you for your help! Yes, definitely. Blocking really helped. :) Have you done that yet? 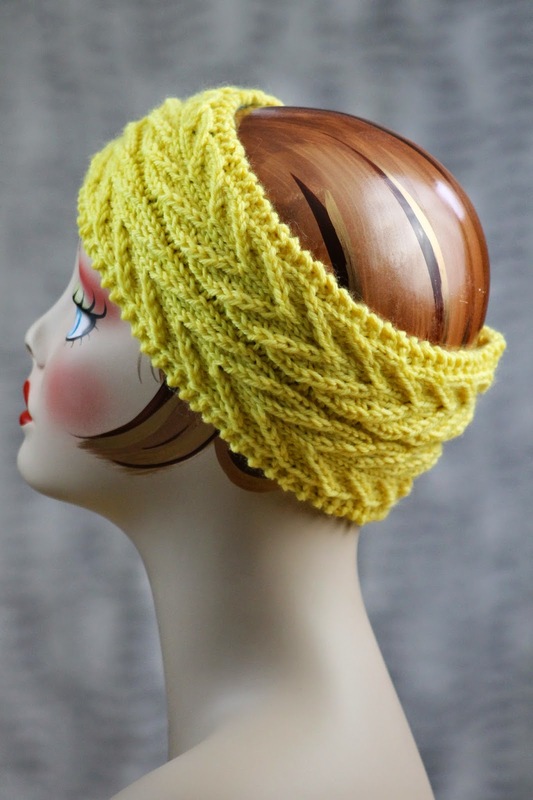 And also - even if you have some curling after blocking, once it's on a head it should work just fine! Not at the blocking yet. I have to wait until I see her to measure her head :) I assumed it would be fine once it was on her head. Thanks! Thank you for providing adult sizing for all of your children's hats. My granddaughter's head has been bigger than mine since she was two! You are welcome to sell items knit from my patterns (or modifications of them) even if you're just doing it for fun, although of course you have a much better cause. The only thing I ask is that you give pattern credit if you're selling online. :) Anyway, I wish you great luck with your store and your knitting!!! Thank you Gretchen :) I will definitely give you credit and link to the pattern if I ever manage to get an online store going ;) Thank you and all the best to you! This was a bit of a challenge but I have made it for a toddler just turned two. I love the pattern. Let's hope it fits. Many thanks.